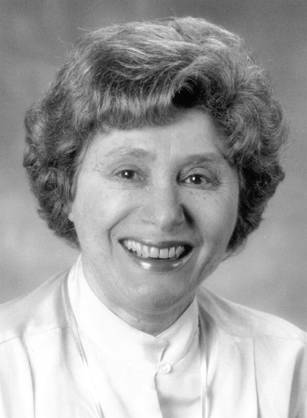 Ruth Kirschstein, MD, 82, former deputy director of the National Institutes of Health, died October 6 at the NIH Clinical Center in Bethesda, Maryland. She was known as an outstanding scientist, mentor and health administrator, and, in 1974, became the first woman to direct an NIH Institute, the National Institute of General Medical Sciences, a post she held until 1993. Kirschstein served as NIH deputy director under Dr. Harold Varmus and twice served as acting director of NIH, in 1993 and again in 2000-2002. “She knew everything, everybody, every rule and was an incredible resource,” said Dr. Varmus in the October 16, 2009 issue of Science. Always keenly interested in involving more women in biomedical research, she became director of the newly established NIH Office of Research on Women’s Health in 1990. She was also a crusader for greater training of minority scientists and health professionals, and for involving more members of minority populations in research studies.